Birthday games are what the kids remember long after the cake. 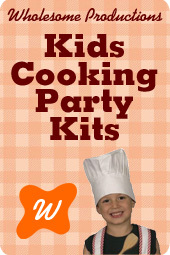 You can make a truly great party with children birthday party games. Scavenger hunts are hot, as are traditional games, and do not forget new games, like Padawon camp (Star Wars!). Kid Activities and games are what can make a birthday party. My job was running ropes courses to promote team building, so games have always been a part of my life. My partner has taught games to children for years through camps and physical education. We have taken the best games and put them here at your fingertips. You'll find games labeled by categories, such as ice-breakers, themed games, get to know you games and much much more! It is easy to take these games and make them fit your theme. The games Sharks and Minnows can easily be Pirates and Sailors. Star Wars can be made into Under the Sea. The possibilities are endless. There are a few things to consider in order to assure your game plan will be a success. First off, make sure the games are age appropriate. We have grouped our fun games for kids according to age. Location of the party will play a huge role in determining which games are appropriate. We have a variety of games for practically anywhere your party may be held. As a general rule, it is best, especially with the younger ones, to arrange the game where everyone wins. If you choose to do otherwise and give a winning prize, consider “consolation prizes” for the rest of your birthday party game ideas.